Is your team is kicking off a health initiative, and you want to introduce healthy eating in a fun, approachable way? Perhaps you are encouraging company camaraderie, and want to boost morale and help your team bond in a welcoming environment. Or you might just need a break from the typical workday, and want to spend a productive afternoon in a new meeting space surrounded by east Austin greenery and bountiful produce. Whatever the reason, we have something for you! 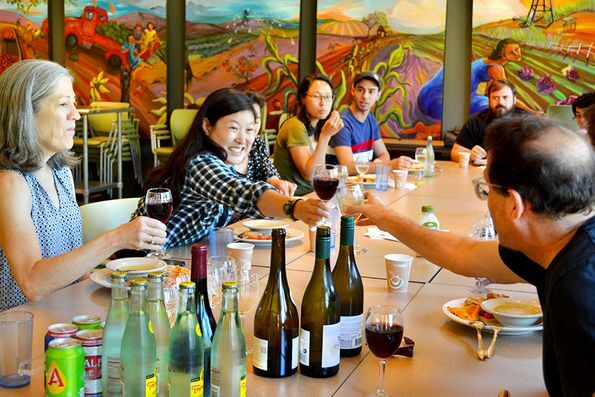 Sustainable Food Center business retreats offer a connection to local, healthy food, encourage corporate social responsibility, and inspire team bonding. Retreats are customizable with both half and full day options, and varying activities and menus to meet the specific needs of each team. These offerings are a great fit for all kinds of companies and organizations, from large corporations such as Whole Foods to medium and smaller local companies. Business retreats include conference space in our bright and sunny conference room, as well as your choice of a team building activity: a hands-on cooking class with a full meal, a demonstration cooking class with tastings, or a walking tour of our garden, apiary, and chicken coop. Cooking class menus change with the seasons and utilize local ingredients. Join us for a summer class and enjoy a light menu that may include golden summer squash soup, roasted red pepper hummus with crudité, and seasonal fruit crisp. Come in during the cooler months and prepare a colorful shredded carrot and beet salad and delicate raspberry almond cookies. 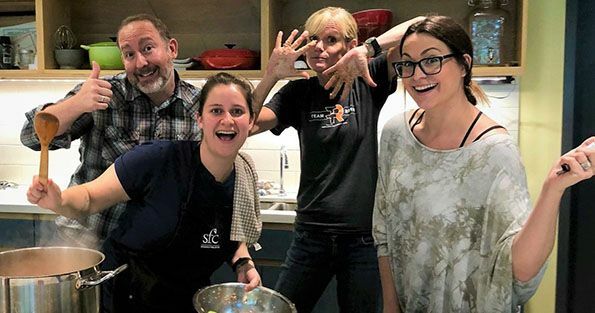 During a hands-on cooking class, employees work together in the kitchen and learn to communicate clearly to ensure kitchen safety, and will be encouraged to collaborate to complete the meal - which they all enjoy together. Alternately, employees can sit back and learn from the professional during a demonstration cooking class, where they will pick up essential cooking techniques, complete with tastings and recipe cards. Out in our Teaching Garden, groups can appreciate a relaxed team building experience learning about sustainable food gardening practices, bees, and chickens. The garden tour gives them a chance to stretch their legs and spend time together outside in a peaceful setting. These team building experience translate into better communication and higher productivity back in the workplace. Teams learn to appreciate each other’s unique abilities, form genuine connections, and build trust. Additionally, SFC business retreats aren’t just great for your team; they are also great for your community. 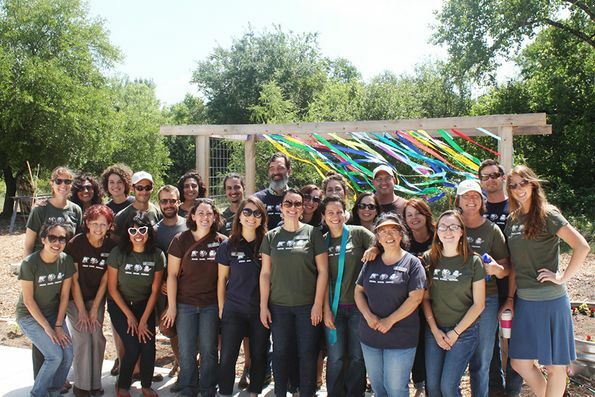 Proceeds from business retreats go into SFC programs that make healthy food more accessible, so all Central Texans have the opportunity to grow, share, and prepare affordable, local, seasonal food. To learn more about our offerings and prices, download the business retreat packet here, or learn more on the Business Retreats page of our website.